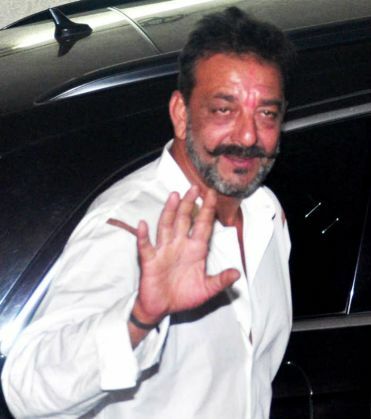 Bollywood actor Sanjay Dutt, who is serving a six-year sentence, has been granted parole for 30 days by the Maharashtra government. The actor had applied for the parole in June citing the reason of the ill-health of his daughter. The actor left Pune's Yarwada jail on the morning of 26 July. Dutt, 56, was found guilty in 2013 of acquiring illegal weapons from those involved in the deadly 1993 attacks in Mumbai in which 257 people were killed, and hundreds injured. Dutt was sentenced to six years in jail in 2007 of which he had already served 18 months. Dutt's earlier parole in December 2014, had sparked off debates about him being given special privilege. As reported by The Hindustan Times, the actor has been granted parole because of the ill health of his daughter. The documents submitted by him states to Pune divisional commissioner his daughter has to undergo a nose surgery. He has been 30-day parole, which can be further be extended by 60 more days. Dutt has been out for as many as 146 days since his sentence began in May 2013. According to the same report, furlough is the right of a prisoner by which he can avail a 28 days of exemption in a year, whereas parole is granted in specific cases like ill-health of the convicted or his family member, natural calamities and the like. It is granted for 30 days which can be extended twice. Sheena Bora murder mystery: sister or daughter of Indrani Mukerjea? READ NEXT >> Sheena Bora murder mystery: sister or daughter of Indrani Mukerjea?